Wanting to improve the presentation and appeal of your brand, products or packaging with an eye catching graphic or just wanting to personalise your children’ s school books or stationery. 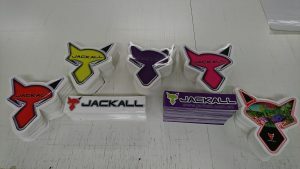 Here at Signsations we provide excellent quality stickers and labels that are sure to make a big impression. 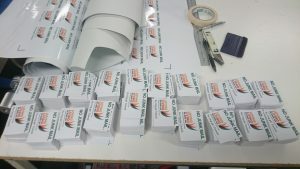 Our high quality vinyl stickers and labels are self adhesive and come in a wide range of full digital colours, shapes, sizes and quantities with a quick turnaround for large or short runs. Our stickers and labels are suitable for indoor or outdoor use and can be used on a variety or surfaces. With our qualified team here at Signsations we have the knowledge and experience to help you create an ideal design that is sure to complement your business or merchandise.